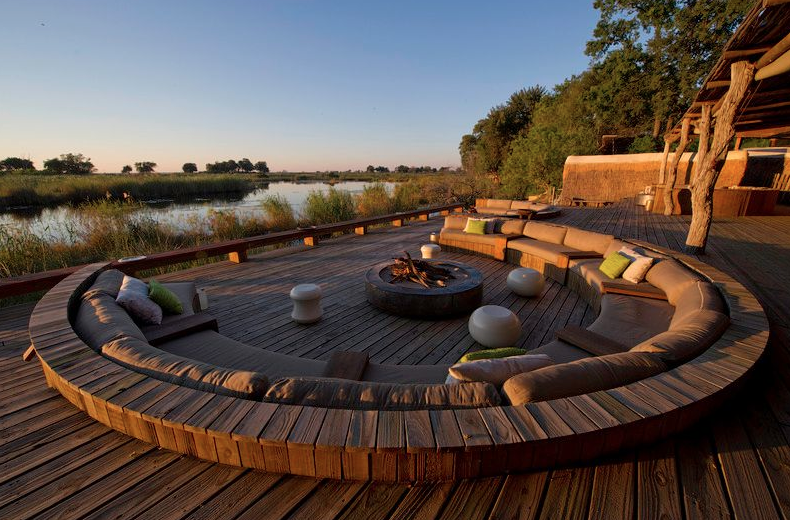 This extraordinary lodge in Botswana can be rented for exclusive use and combined with several other lodges for a safari trip of a lifetime. 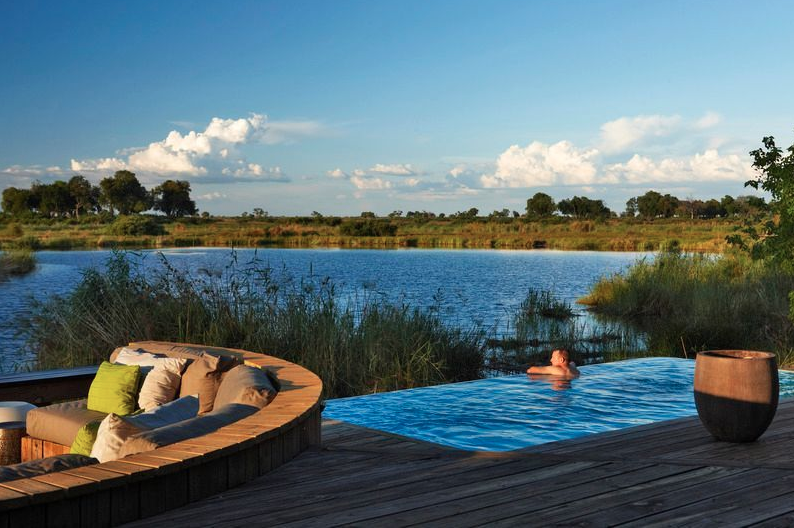 The Pool House overlooks the oxbow-shaped Lagoon in the Linyanti Wildlife Reserve bordering Chobe National Park. 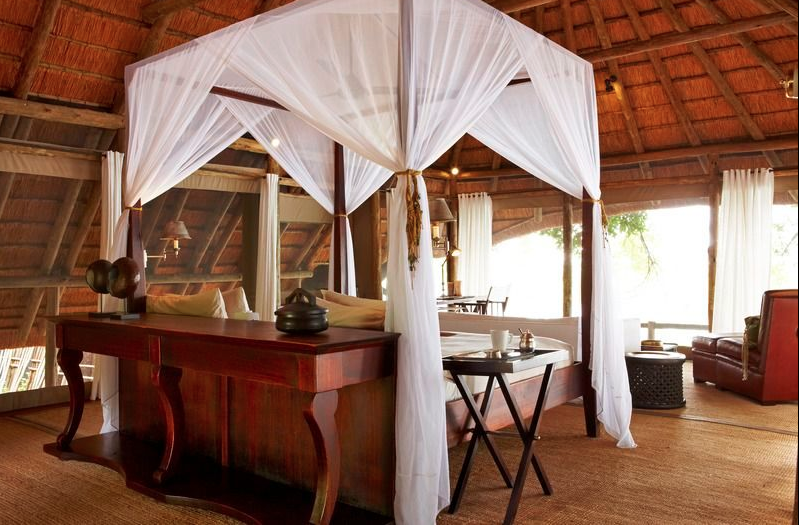 Its nine luxurious tents,including one family unit, boast a large bedroom area, lounge, private plunge pool and sala. 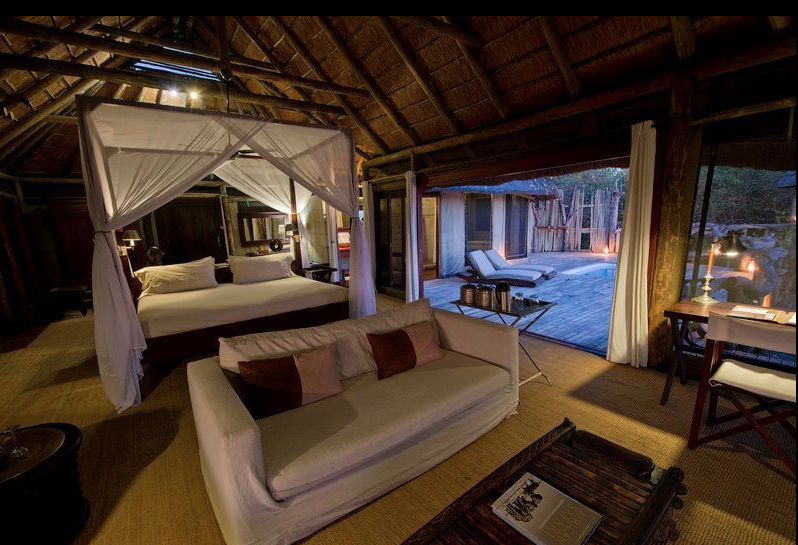 The spacious en-suite bathrooms have double showers and hand-basins, as well as an outdoor shower for those who wish to shower ‘in’ nature! The lounge, dining room and bar areas are on expansive raised decks. 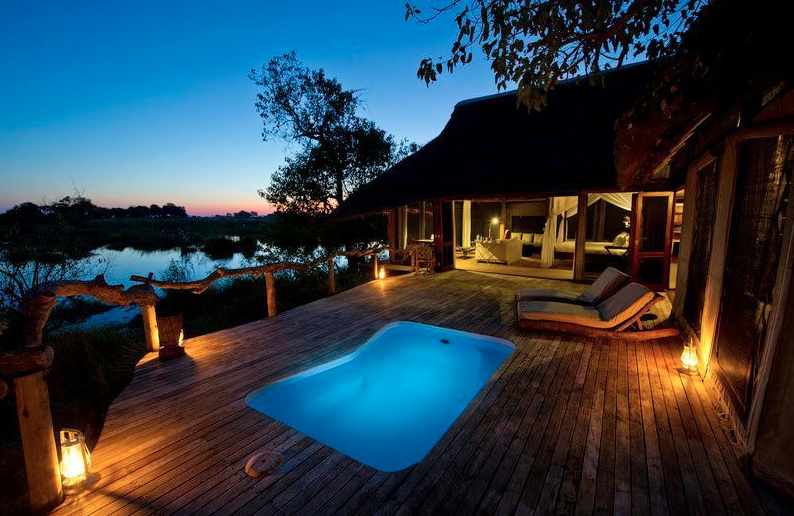 There is also a pool and an open-air ‘kgotla’ for dining under the stars. 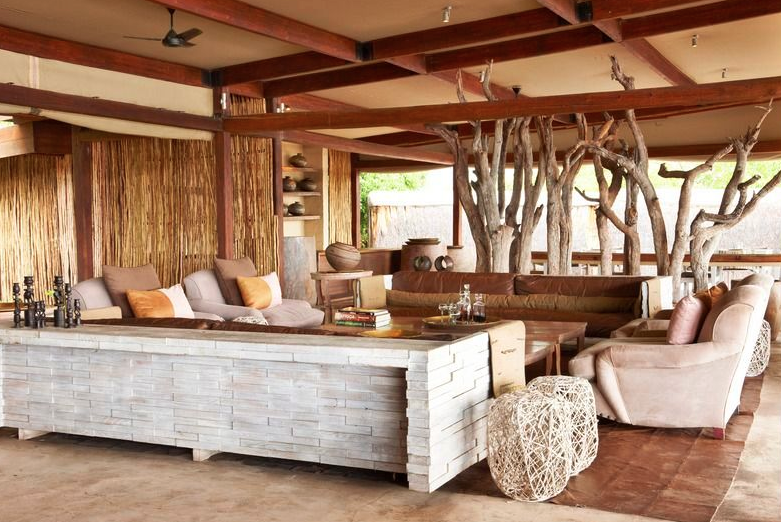 Morning and afternoon game drives are offered in open 4×4 Land Rovers each accommodating a maximum of seven people, allowing each guest an ‘outside’ seat. Bean bags are available to use for steadying your camera while on game drive. Night drives with spotlights allow you to find those nocturnal animals you wouldn’t see during the day. There are two hides in the vicinity of The Pool House from which to view and photograph animals and birds. One is located at the western end of camp and the other is an original underground hide, with the water at eye level. 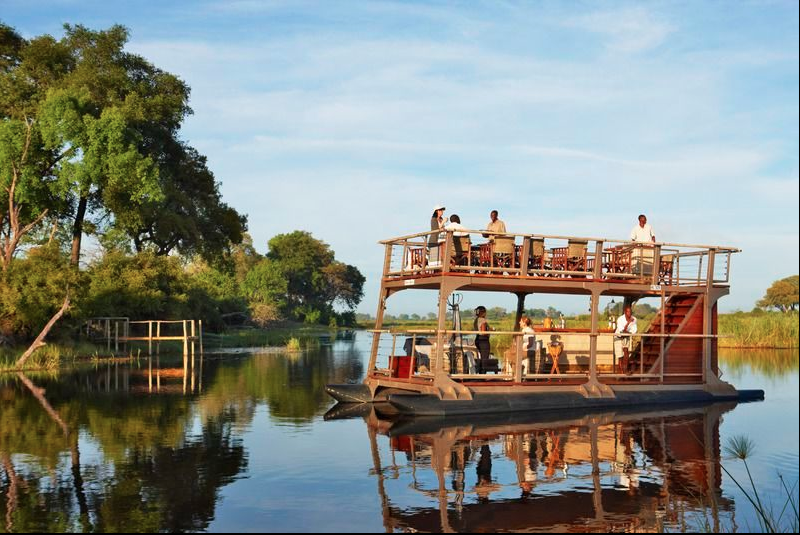 Seasonal barge cruises along the Linyanti River are on offer on the colonial-style Queen Sylvia barge, generally with sundowners in hand. The river is ideal for numerous and diverse species of birds and are a magnet for game in the dry winter months. Fishing with a limited supply of basic equipment is on offer seasonally on a catch-and-release basis. Birding is outstanding at the camp being an internationally recognised Important Bird Area (IBA). Massages are available for you to enjoy in the privacy of your tent.